Can you take a photo of what the backside of the beak looks like? It looks like the thin ring that holds the globe in place is what’s blocking the mouth bits from being removed. If the plastic has been friction-sealed at the top seam so that it’s not removable, then yes, this would be the first gumball head I’ve personally seen where you couldn’t access those parts simply by removing the globe. As far as I can tell from the photos, minus the globe and the top disc like you say, it looks identical. No doubt still the same molds are being used. well, i couldn't remove the mouth pieces to take off the lever from the lower jaw. 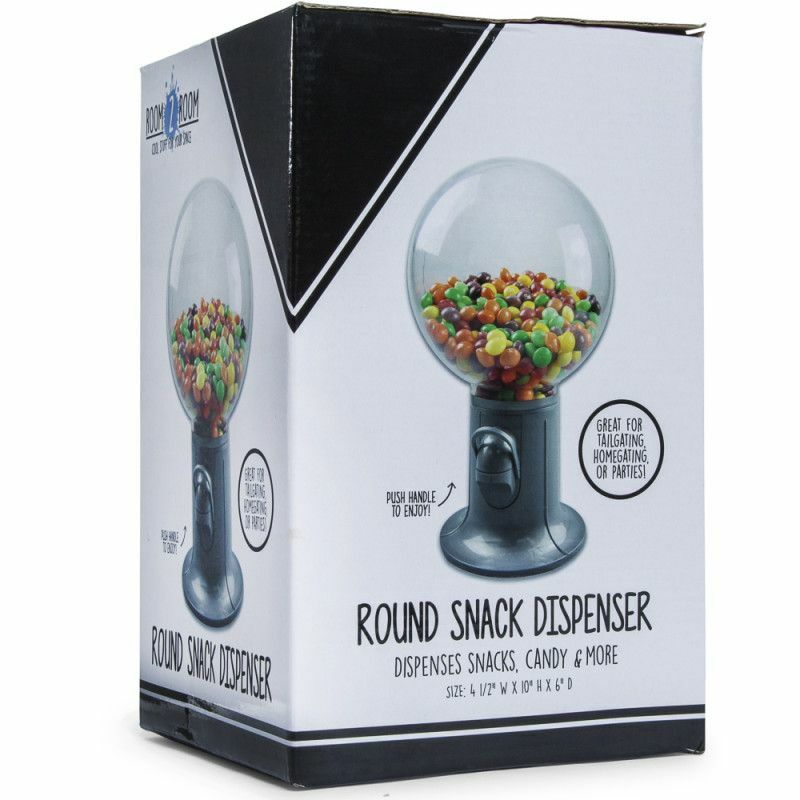 have you ever found a snack dispenser like this? maybe you have a local Five Below store? thanks. nobody has never done this before so which doorway sound do you think is the best? Everything else... / Satellite of love lights? I'm looking for a good close up details or just reference photos for the 3 lights that were above the doors at the bridge. There were different types from season 1, season 2 - 7, seasons 8 - 10. Not counting the season 11 version cause it looked 3d printed. That is brilliant! Great use of the movie sign sound that I've extracted before. I'm really impressed by pure awesomeness! Everything else... / Re: MST3K Crawling Eye 5.1 Project? Everything else... / MST3K Crawling Eye 5.1 Project? ok, Shout Factory released a dvd boxset with the episode "The Crawling Eye" but it has no sound effects except for the doorway sequence and movie. so i thought how about i add the sound effects i ripped from the show and some from the movie and make a stereo mix of the episode. now i only have a audio clip of the first host segment 5.1 mix that i created to test it out and see what people think about this. here's the link of the 6 channeled audio. These are the tests for the set of the Satellite of Love from MST3K The Return. it was tricky but worth a shot. i based it from the pictures of the set. it isnt finished because i havent made the details and made the desk in the right shape because i couldn't find the shapes of it. though the lighting looked a bit good, but im not sure of its the right color. so...what did you guys think? is it good or bad? MST3K Related Props / Re: Season 11 Satellite of Love! crowtrobotfan4 you have a sensitive topic typo, the part where you meant to say set. Where exactly did you find the Blu-ray set of Season 11?